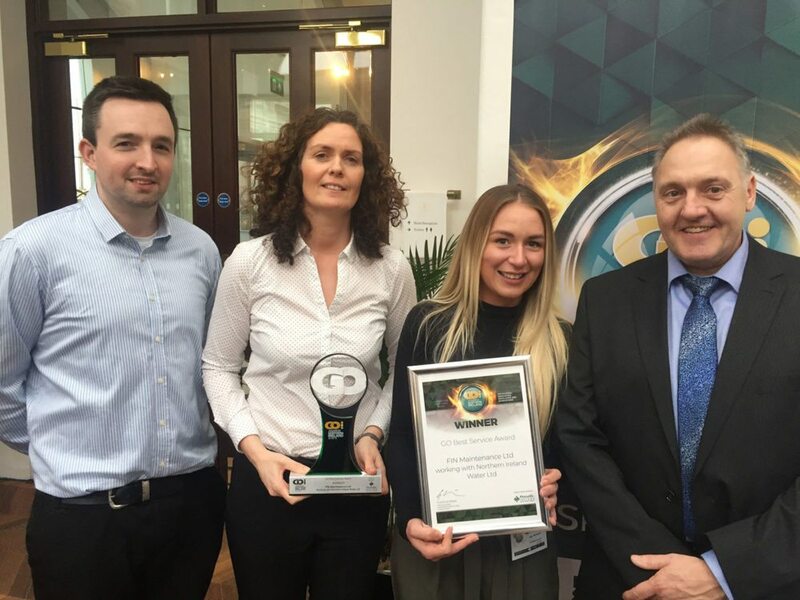 FIN Maintenance are delighted to be announced winner in the Best Service category of the NI Government Opportunities (GO) Excellence in Public Procurement Awards 2018/19, for contract delivery with our client NI Water. The trophy was presented at an awards ceremony in the iconic Titanic Hotel, Belfast on 14th March 2018. 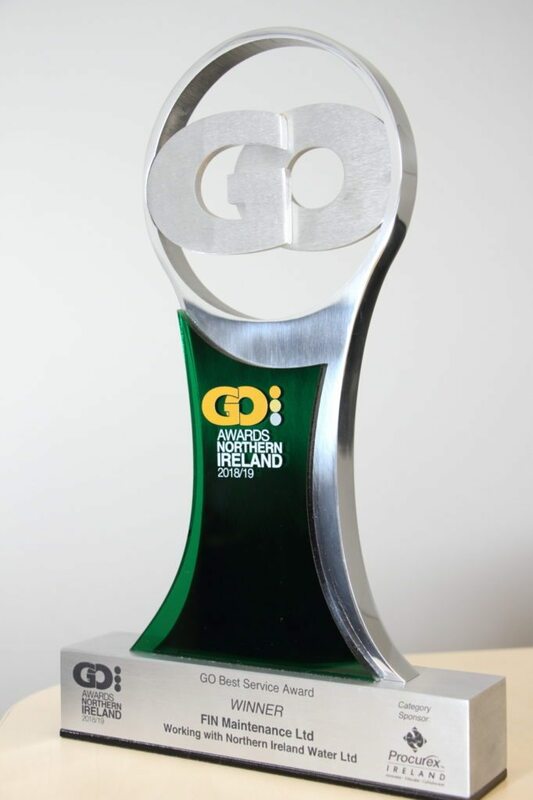 As Northern Ireland winner we are automatically entered into the UK National GO Awards which take place on the 24th April 2018 in Manchester.